From the beginning, Claire Thomas, founder of Kitchy Kitchen, and Laurel Gallucci knew their first store needed to be a "jewel box." 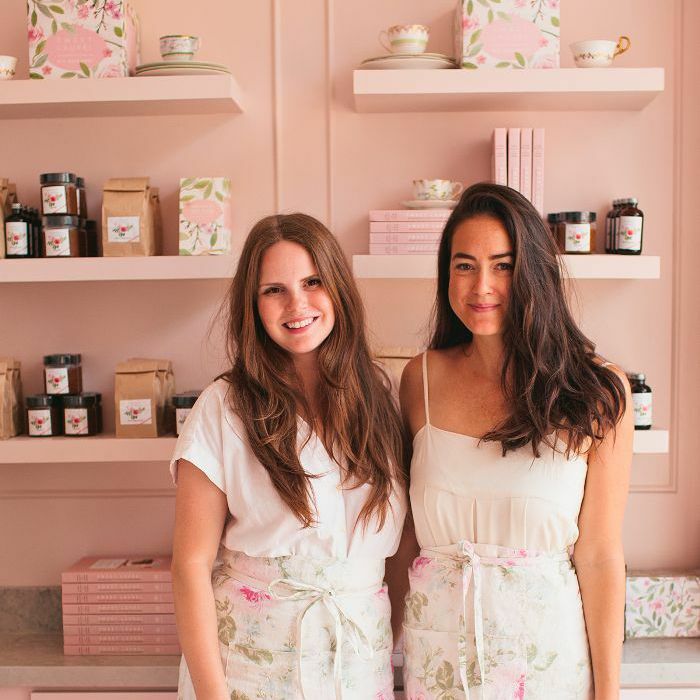 The co-founders of Sweet Laurel went from creating a best-selling cookbook to opening their first boutique cake shop in L.A., and it's a beautiful, saccharine space we would live in if we could. "Sweet Laurel has always had this secret garden quality," says Thomas, Sweet Laurel's creative director. "Our only form of marketing was through word of mouth, and we wanted the space to reflect that: like stumbling into an English tea room in the middle of L.A. It feels like you're in on a wonderful secret." Thankfully, they didn't keep the secret to themselves. We're absolutely smitten by the blush tones and baby-pink hues with the custom-made floral wallpaper that evokes a whimsical fairy-tale feeling. "Pink is our color, and we, mothers to sons, joke that the store is our daughter," says Thomas. "It's hyper-femme but still modern. The phrase 'Mayfair meets Malibu' kept bouncing in my head. We love garden roses, and the storefronts in Mayfair in the springtime were a huge inspiration." Read on to take the tour, learn about how they styled the store themselves (no interior decorators here), and then make two of their exclusive recipes from the book. Bringing in texture was hugely important for both Thomas and Gallucci. "If everything is pink, it needs to have layering to break it up, otherwise it's like walking into a wad of chewing gum," says Thomas. "It also needed to feel grown-up and elegant, not like a little girl's room, so we focused on mixing modern, minimal pieces like the Mitzi light fixtures, Room and Board furniture, and menu board with more old-world pieces filled with character and texture. The tile from Cle has incredible variance, and the floor from Du Chateaux feels like it was pulled from an old European home." Their first image of the space was a handpainted mural, a modern chandelier, and a pink velvet couch underneath. "We couldn’t stop picturing this vignette, and it sort of became the guiding light of the space," says Thomas. "When actually painting a mural became too crazy, we reached out to Anewall, and they created the most stunning wallpaper for us. We can't wait for people to be able to purchase it for their own home." "Laurel is obsessed with bay windows, so we knew a banquette was a must," Thomas explains. "All of the natural light, with casual pink velvet pillows makes it the best angle to enjoy our shop. We have to give Andrew Kim, our architect, a big shoutout. He always had creative solutions and helped us realize the vision beautifully." According to Laurel and Thomas, the Sweet Laurel interior style is like "a city girl in the country." Thomas adds: "It's comfortable and filled with antique touches but is essentially modern and unfussy. No lace doilies here." Their iconic jam cake has been the visual touchstone from the beginning and really influenced the design of the store. "We wanted the look of something romantic but unfussy, covered in garden roses; it's really the heart of our look," says Thomas. The floral wallpaper design certainly adds a grown-up feel to the ladylike look. The space wasn't completed without a little help from their friends either. "Our dear friend Lauren Conrad let us raid her garage for teacups to decorate the space with, and Claire's family friend and epic Santa Monica caterer Sandy Miller let us get a sneak peek at her estate sale before she moved," says Thomas. "We basically swept through and grabbed all of the Limoges and Haviland we could find. We really benefited from their amazing taste." Their favorite thing about the space has been people's reactions to it. "When we hear an audible gasp followed by 'It's so pretty!' it makes us light up," says Thomas. 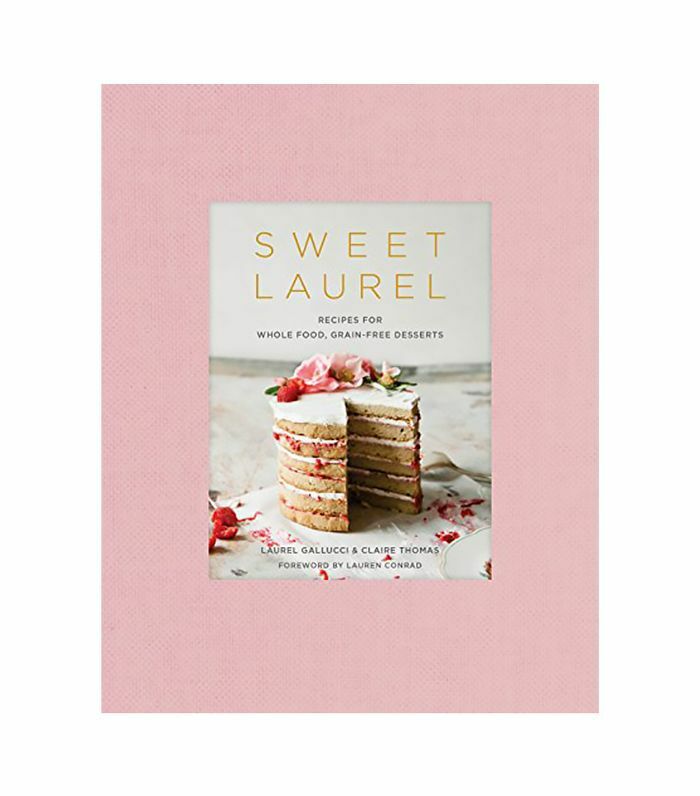 "It's so exciting to see Sweet Laurel as a brand exist three-dimensionally rather than in a cookbook or on a plate." But no project is complete without some challenges along the way. "We finished the basics of the space about 72 hours before opening, so we were in sweatpants getting everything ready right up to the last second," says Thomas. "My husband teased me for being up at 2 a.m. making the faux floral garlands that are around our window. It was crazy but worth it." Everything in the store was carefully considered and that attention to detail is seen in every single aspect of design. Thomas tells us they decided against using an interior designer, instead, collaborating together with their architect to decorate the space themselves. It paid off, and now they have a very personal space that is a true reflection of the brand. To celebrate the store opening, Thomas and Gallucci shared two exclusive recipes from their Sweet Laurel cookbook. Read on to try them out at home. "Even though Claire put her foot down and said, 'No pumpkin bread. Every gluten-free bakery has one!' Laurel persisted. She snuck some onto the spread at a Sweet Laurel workshop and Claire literally ate her words, with vegan caramel on top. Now, every fall, people go nuts for our pumpkin bread. We knew we had to turn it into a cake. Just as moist as our bread, but spread with chai coconut whipped cream, this cake is especially perfect for the holidays. And if you want to turn this pumpkin spice latte combo into a pumpkin chai latte–inspired one, simply switch out the espresso for chai." "Growing up, Laurel made cookies for her five brothers on a weekly basis. Usually, it was a chocolate chip, but on special occasions, she made snickerdoodles. Who doesn't love the smell of sweet cinnamon wafting through the air? Chewy and lightly sweet, these cookies are a little piece of perfection. Be sure you have plenty of almond milk on hand for dunking." In a large bowl, whisk together the flour, salt, baking soda, and 1/4 teaspoon of the cinnamon. In a medium bowl, combine the oil, maple syrup, and vanilla. A little at a time, add the dry ingredients to the wet, stirring until a dough comes together. In a small bowl, mix the date sugar and the remaining 2 teaspoons cinnamon. Place tablespoon-size balls of dough onto the baking sheet and gently press down to flatten to about 1⁄4 inch thick. Sprinkle each cookie with the cinnamon-sugar mixture, then bake for about 10 minutes until golden brown around the edges. Transfer the cookies to a rack to cool slightly—snickerdoodles are best served warm! Store in a sealed container at room temperature for up to 5 days, or in the freezer indefinitely.